Whether you’d like to conquer the hills and mountain climbs in the area by mountain bike, road bike or hybrid bike, we can arrange the bike rental for you. We organize bike rental in Sicily in collaboration with our friends at Eurobici in the town of Partinico and offer several quality road bikes and MTBs, such as carbon Ridley and Focus road bikes and Focus and Ghost mountain bikes. To ensure that your rental bike fits you perfectly and that your rides as as comfortable as possible, we’ll do a quick bike fit when you come and pick up the bike. Each rental bike has a water bottle, a bike pump, a saddlebag with inner tube and two tire levers. The rental bikes can be fitted with SPD, SPD-SL, KEO and plain pedals, or we can fit your own pedals on your rental bike. Click here to request a quote for bike rental in Sicily. After submitting the form, you’ll receive a quote for the requested rental bike as soon as possible. We have road bikes, mountain bikes and hybrid bikes. The bike rental in Sicily is powered by Ridley Bikes. 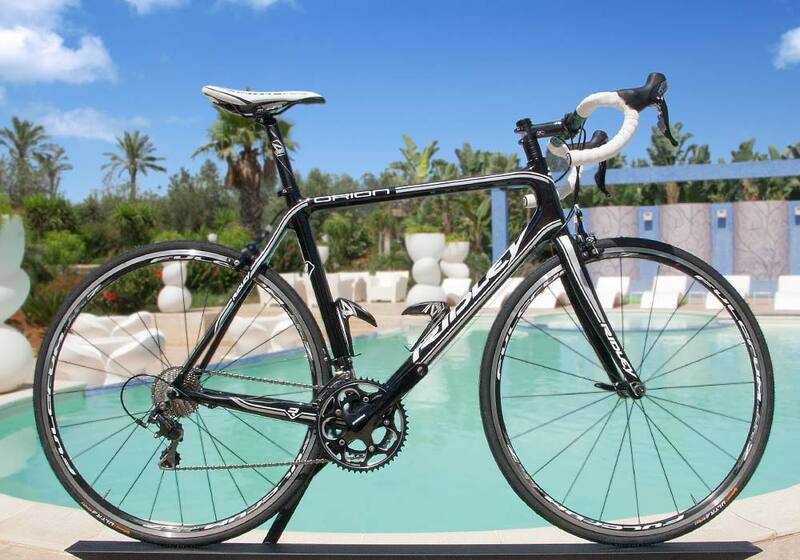 On this page you’ll find pictures, details and rental rates for two Ridley bikes, the alu Fenix 7005 and the carbon Orion. We do have other models, like the carbon Fenix with Shimano Ultegra 11 speed and Orion with the Shimano Ultegra groupset (instead of the Shimano 105 groupset). Use the form below to check availability and rental rates for rental bikes in Sicily.